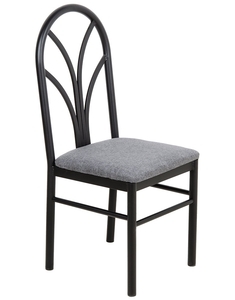 This Lancaster Table & Seating gray 4 spoke restaurant dining room chair will add an elegant touch to your dining area. 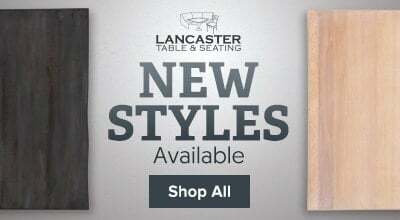 If you’re looking for a great seating option for your establishment, then this Lancaster Table & Seating gray 4 spoke chair is perfect for you! 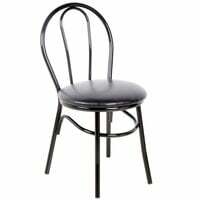 This item comes with many great features, making it perfect for use in your restaurant, dining room, banquet hall, or bistro. 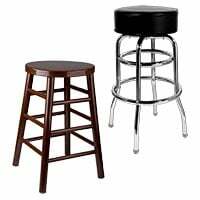 Plus, since its padded seat ensures your customers are comfortable, they'll be willing to stay longer in your establishment and purchase more. "Easily the best purchase that we have made so far. 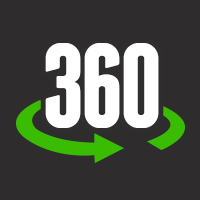 I can not tell you how many compliments that we have received so far and it has only been 3 months." 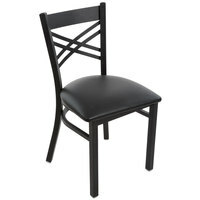 A 1 3/4" padded seat provides each guest with unmatched comfort during their time in your establishment. 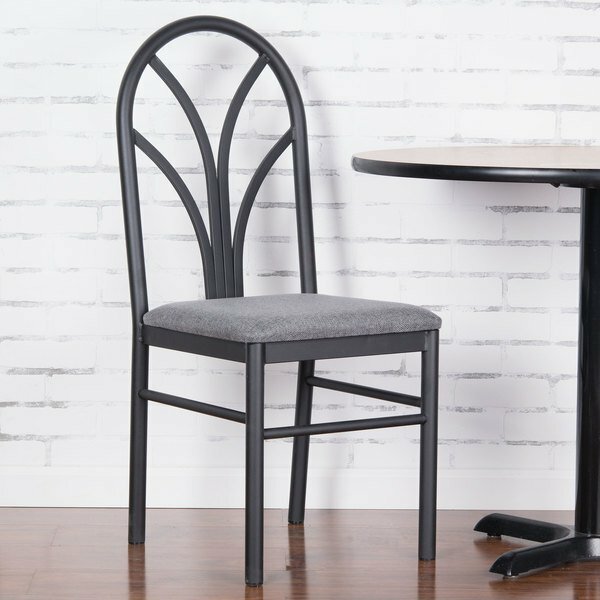 Its fabric upholstery is made from high-density foam that adds both comfort and support to enhance your customer's overall dining experience. 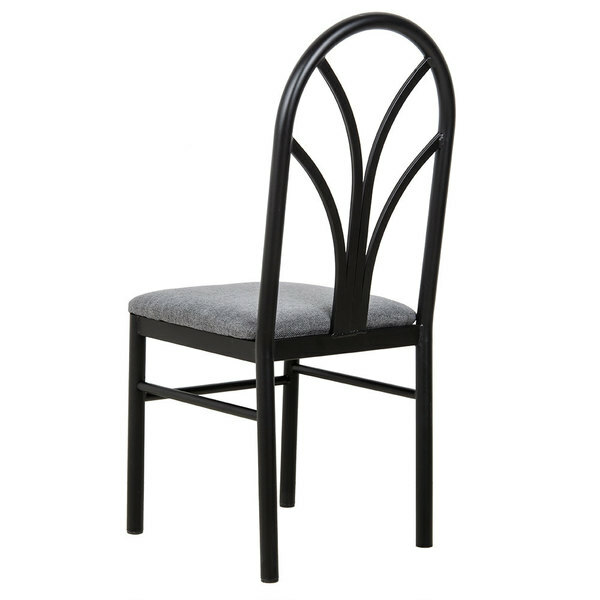 Slim, curved lines make-up the back of the chair, starting from a central point and reaching up and out to a thick, gray frame. 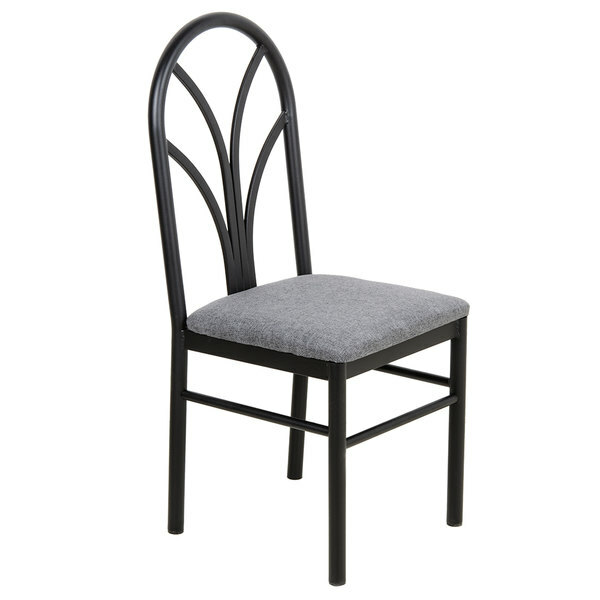 This creates a unique fan design that's both simple and stylish and contrasts with the thick, gray seat and legs. 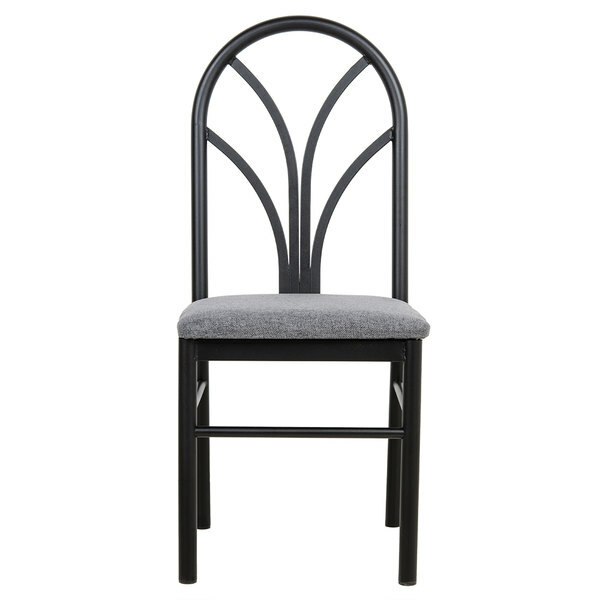 Designed for light to medium duty use, this dining room chair features a sturdy, heavy-duty welded steel frame that is powder coated to help prevent stains, scratches, and smudges. 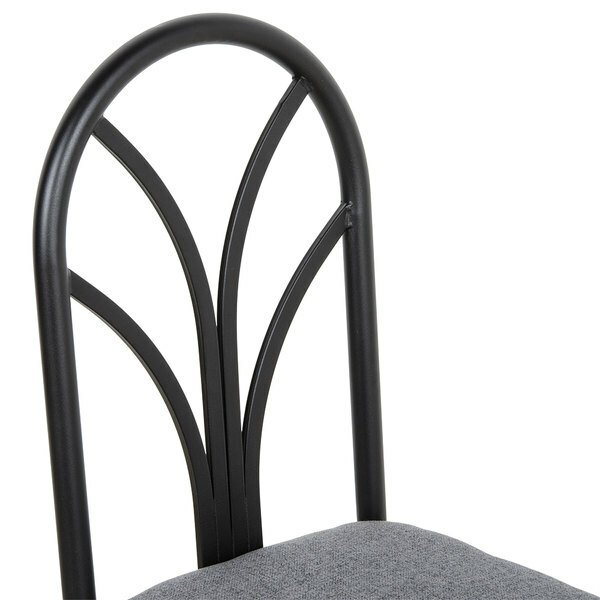 Additionally, supports are in place under this chair’s seat for extra strength. 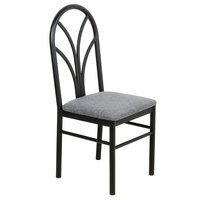 This chair has a weight capacity of 250 lb. 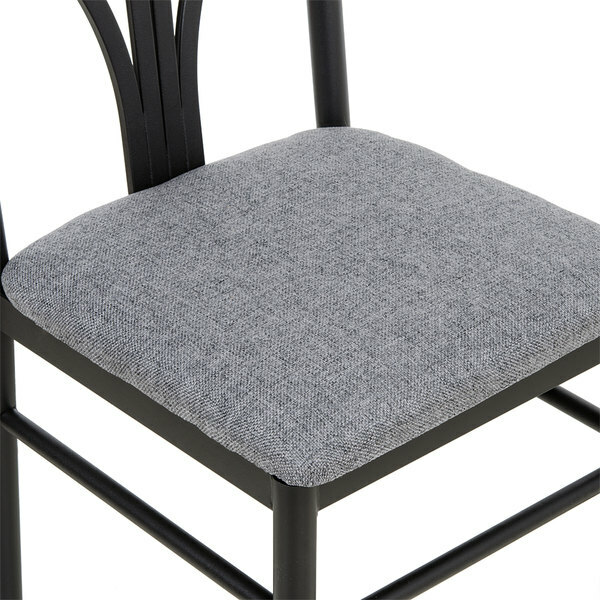 This chair ships assembled so you are able to use it as soon as it arrives! 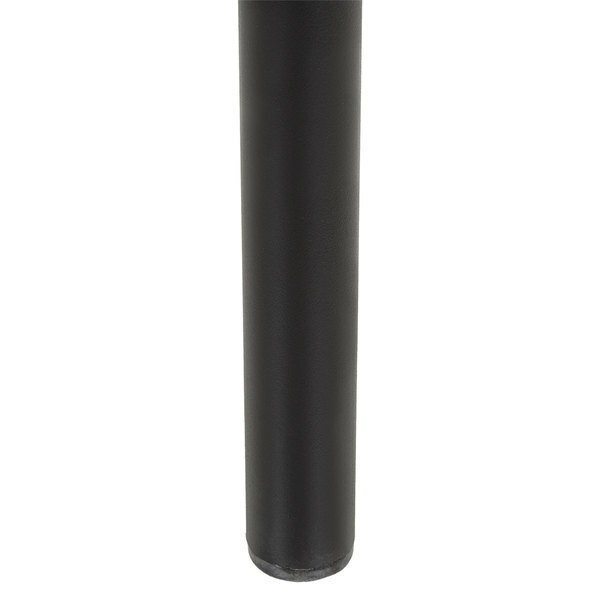 Each leg has a nylon glide on its end to protect floors from scuffing. Easily the best purchase that we have made so far. I can not tell you how many compliments that we have received so far and it has only been 3 months. I promise that you will not be disappointed with this purchase, believe me. 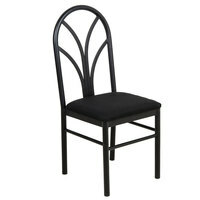 These classic chairs pair very well for our restaurant. We are very happy that we bought them online.